Hip-hip hooray. . . . .it's Kraftin' Kimmie Release Day! Are you ready to celebrate with us in the Krafty Hop? Well, you'd better be ready because we're ready to start! There are so many incredible new stamps to see this month. . . . .so how's about we get started? I'm ready. . . .are you? In the past few days, we've seen many a Krafty Peek with some new images from the Kraftin' Kimmie artists. There are two fantabulous sets of whimsical fairies from Emilie Goulet called Flirty Fairies 1 and Flirty Fairies 2. 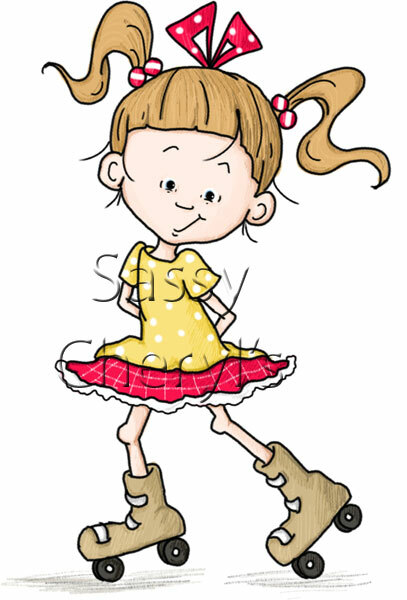 And of course, Annie Rodrigue is featuring some amazing little Everyday Girl stamps! 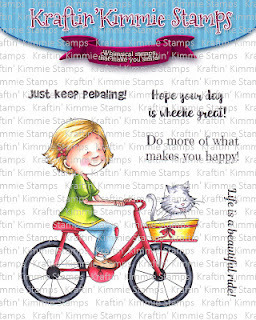 And last, but not least there is a new set of Lulu stamps. Three sweet little stamps are included in the LULU ON THE MOVE set. You're not going to want to miss out on these. So, sit back and enjoy the May Krafty Hop. You should have come here from Sharon's blog, but if you need to start from the beginning, just head over to the Kraftin' Kimmie Challenge Blog. 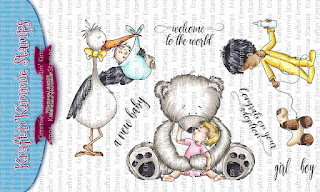 Be sure to stop at each blog and leave the ladies some love on their beautiful creations because when you do, you'll be entered to win a package of any one of the incredible rubber stamp sets. So what are you waiting for. . . . Your next stop is Angie's blog. . . .so get on over there and see what gorgeous stuff she has to show you. Love your adorable image, this is so cute, those knees are too fabulous! This little gal is so, so cute! She is adorable Cheryl! Loving your images this release!! Love your images, they are too cute and adorable! Love your Lulu images, and this month's are just as adorable!! all these new images are so cute...great release! You may not be a crafter but you are one awesome artist! :<) Love this little LuLu image! Wishing you a beautiful Sunday! I love this, Cheryl! She is such a cool sassy gal! Can't wait for her to pop into my shopping basket! These are so so CUTE!! Love all your Lulu's. Another adorable Lulu set! Great job again. The Lulu images are just darling. Would love to have them all! The new Lulu's are really Adorable. Love them all! Great work on creating them! This one is a cutie!! She's super cute. Just love her. so cute... can't wait to see what everyone did with her! Love the new Lulus! This one is so cute! What a super cute image. Love those knees lol. I love all the Lulu designs, she is so cute!